Blood of the Werewolf is quite easily the biggest game from indie developer Scientifically Proven. Having worked on a few small multi-platform releases, the company has mainly stuck to mobile games, with this representing their first full platform release. 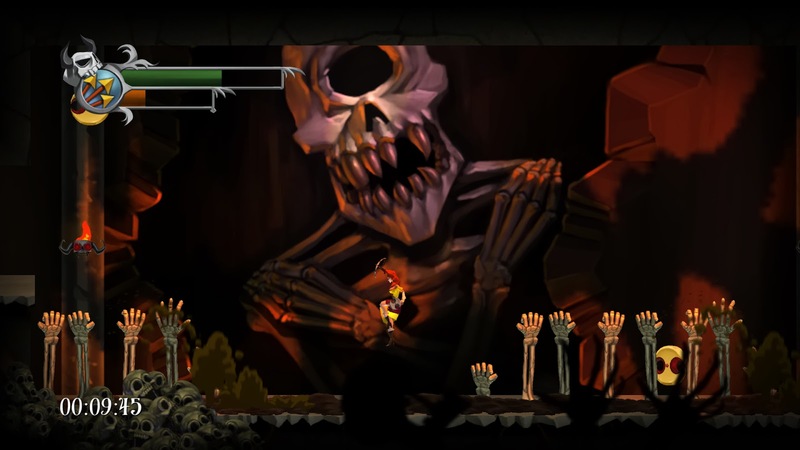 Action-platformers may have fallen in popularity since the times of Castlevania IV and its kin, and are now a bit more of a niche genre. With Blood of the Werewolf, Scientifically Proven are trying to bring back a taste of what used to once take pride of place in any gamer’s collection. The story is a simple one. You play as Selena, a werewolf whose young son has been captured, as you set out to reclaim him. You traverse a total of ten different stages, each with their own unique theme, fighting a number of varying enemies who get stronger as you progress. Throw into the mix five challenging boss fights, and you’ve got yourself a game. The story doesn’t really develop as you move through the stages, but instead through short cut scenes between each level. These are mostly just Selena performing a monologue however, and as such is the only other character of any real note. The bosses you fight get a few lines before you set about mauling them to death, but that’s about it. Controls boil down to mainly just movement and attacks. In human form, Selena is armed with a Crossbow which you need to use to fend off enemies, as well as interact with items in her environment. This makes for some very frustrating moments where you have to juggle progressing through the level, continuously shooting things in the environment, and avoiding invulnerable projectiles that are flying all around you. Combat is mostly an afterthought, with the majority of enemies just requiring a few bolts from range. 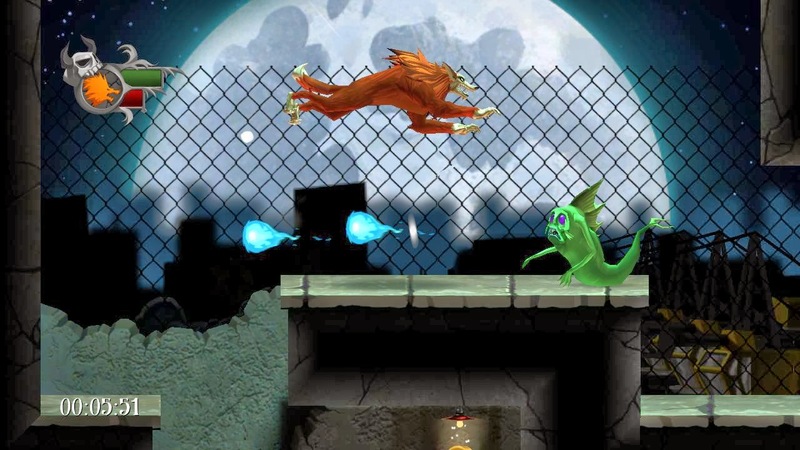 Some provide a bit more of an obstacle with projectiles, but you are usually too busy moving through the level to be able to stop and fight.When you enter a moonlit area of a level, you turn into a giant wolf, gaining giant claws and the ability to double jump. Platforming in this form is a bit more simplistic, relying less on puzzle solving, and more on timing. Combat becomes even easier, with enemies almost always in claw’s reach. The game recommends that you play through with a gamepad, but this suggestion seems unnecessary. The keyboard controls are almost flawless, and are not a hindrance at any point in the game. The slight disadvantage of having less control over walking speed is almost a complete non-issue, so the game is really doing itself a disservice by suggesting otherwise, potentially putting off players who don’t have a controller to use. Both Selena and her wolf form come with special abilities. Selena can shoot multiple bolts, while the Wolf can heal, make lunging attacks, or fire projectiles. These special attacks require easily replenishable resources, and can be upgraded as you progress through the game. That said upgrading them through finding the right collectible is largely unnecessary, and you never feel underpowered without them. Health can also be extended by collecting the plentiful supply of sigils in a level, but doing so often puts you in more danger than is necessary, and by and large is unneeded to complete the game. Unless you are a collector or perfectionist, there is no motivation to pick them all up. Death is a very common occurrence. It is a very challenging game with a noticeable, but not unreasonable learning curve. While early levels require you to focus on either fighting or platforming, later stages require you to juggle multiple things at once, all while moving at speed through falling platforms. Despite the health bar, most deaths are likely to be through instant-killing yourself on an environmental hazard, rather than being whittled down slowly through attacks. This is largely down to the inclusion of a sizeable knockback whenever you take damage. Even having a bat hit you is enough to send you flying back a large distance, often into something incredibly deadly. Survival becomes down to pattern learning mostly, with projectiles, enemy attacks, and bosses all being prone to the same strategies that you use to your advantage. Thankfully, there isn’t a big punishment for dying. After an extremely brief cut scene (so short it’s barely noticeable), you’re put straight back into the game at the nearest checkpoint, and you can continue on your way. These checkpoints are quite generously scattered throughout the level, but not in a way that removes the challenge of the game. Some of the harder parts require a good deal of concentration and ability to progress between these points, and the feeling of relief and satisfaction when you finally get to the next checkpoint is overwhelming. Graphically, there isn’t much to write home about. The end of level cut-scenes have some nice artwork but minimal animation, and the in-game sprites are nothing special. The voice acting is solid, but fairly minimal, only being used in these small breaks. The soundtrack is also largely forgettable, but provides some nice backing when you remember it’s there. As a whole, Blood of the Werewolf is a decent game. It provides a good challenge that will last you a few hours, but there is very little incentive to then go back and play it again. The combat is mostly an afterthought, but the platforming elements are strong enough to carry the game on its own. The story is minimal, but provides enough incentive to make you want to beat down the bad guys, and get Selena's child back.